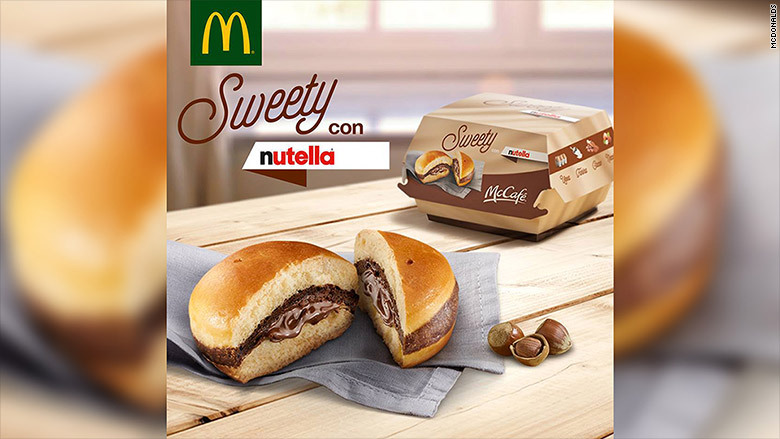 McDonald's launched its Nutella burger in Italy in November and named the product "Sweety con Nutella." It consists of a bun with Nutella spread, but no beef patty. The €2 treat is available in every McDonald's (MCD) location across the country. Unfortunately for chocoholics, the company said it doesn't plan to introduce the product elsewhere.